It seems like no matter how prepared you think you are for any given situation..even back to school there's always something that seems to come up. Take for instance my son coming home from the bus holding his pants up while walking up our driveway. As a mom I already knew it couldn't mean anything good. Sure enough the buckle on his belt broke part way through the day and he was left pulling up his favorite baggy jeans the rest of the day. Not something we thought we'd need or planned to purchase for back to school, but obviously now a necessity. A belt is one of those things that you either need or you don't. And in my son's case he needs it, at least when he wants to wear his favorite baggy jeans. As you know belts come in all sorts of colors, patterns, sizes, and various other customizable features. For a kid they need something that will be comfortable and is made for the way they move. Something that's ready to go on any and all adventures that lie ahead. The belts in the Adventure line from Arcade are perfect just for that. They're a nice combination of comfort and stretch that kids need for their busy lifestyles. 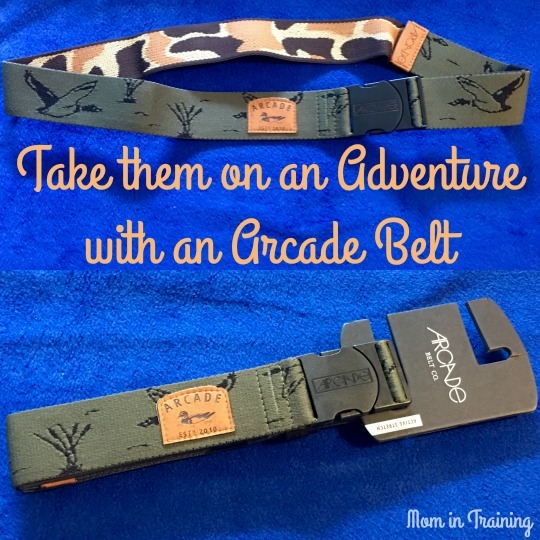 Our Adventure belts are the first ever belts designed for all your activities. Built to move, to use and abuse and to be comfortable through any activity. Stretchy comfort. Non-Slip Buckle. Out of the way Low-Profile Design. Weather-Proof Materials.